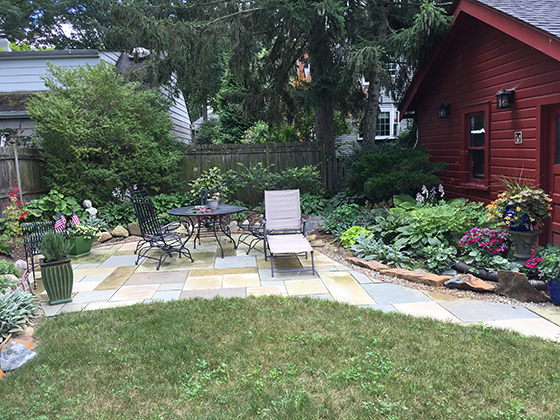 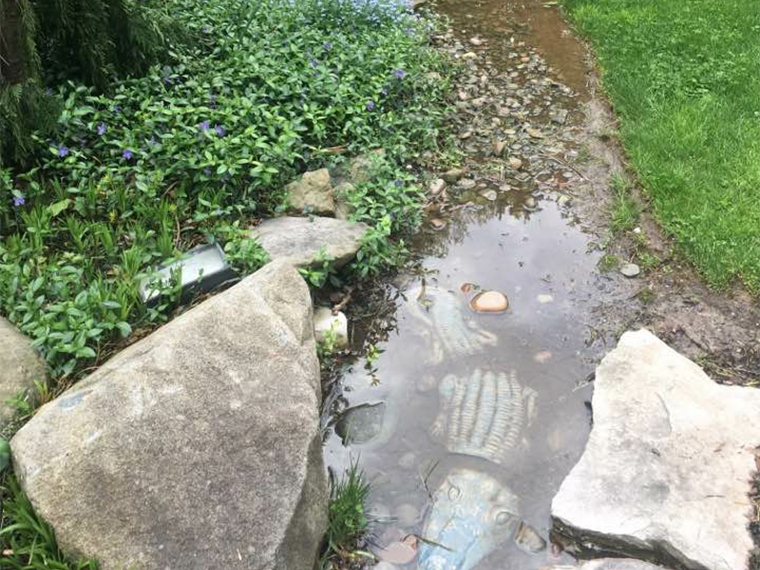 Tranforming a boggy backyard into integrated water features. 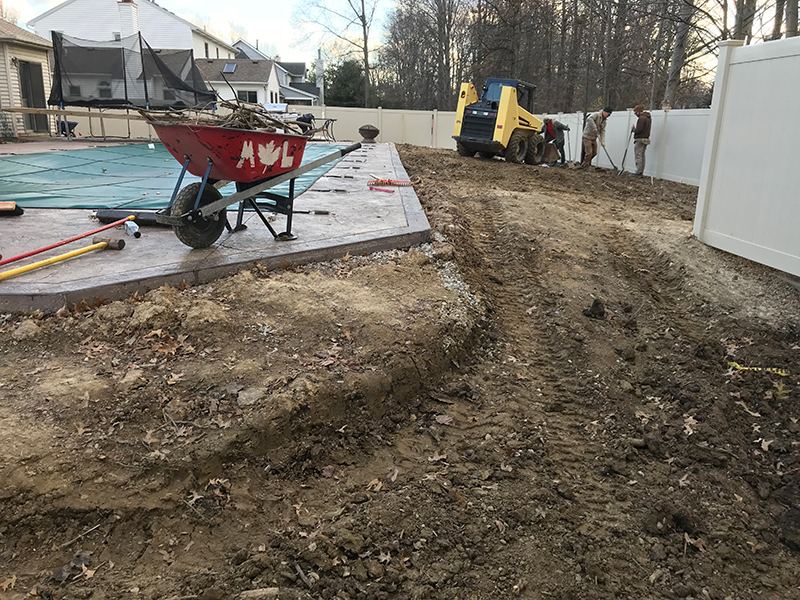 Transforming elevations around an in-ground swimming pool. 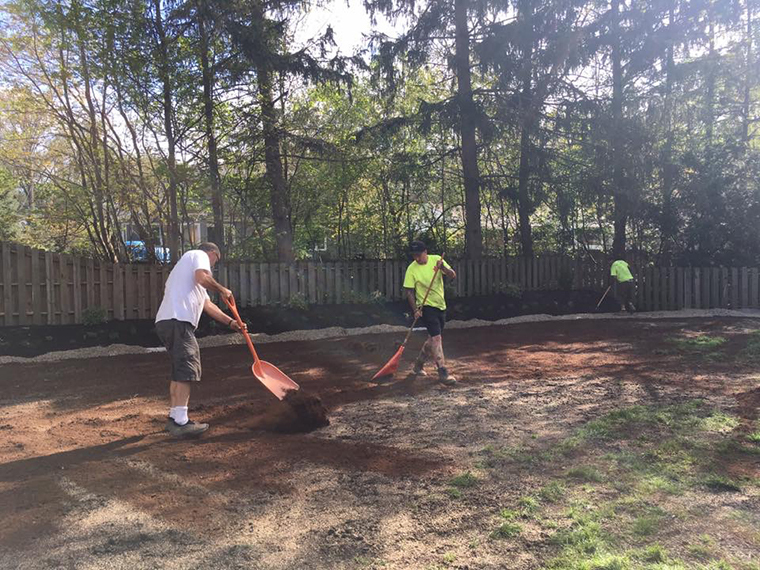 Transforming a soggy lawn space into a dog run/dry river bed.